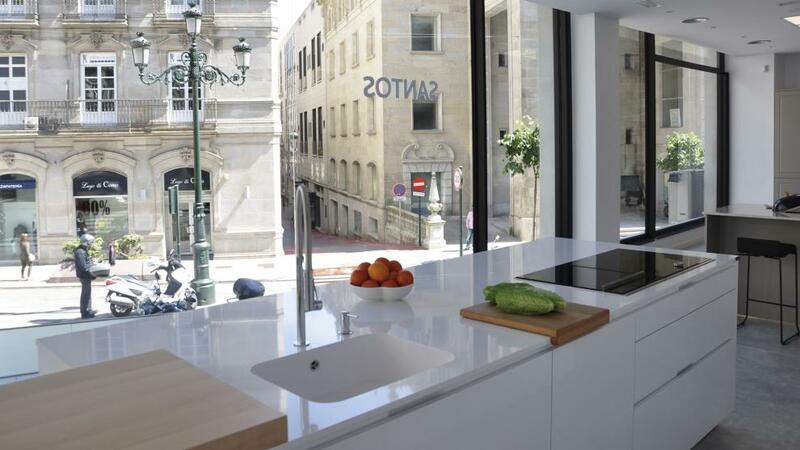 Santos Vigo is the third store for Jorge Bermello and Marcos Verísimo, two professionals with more than a decade of experience in the sector, who were already offering kitchen designs in their showrooms in Mos and Ourense. 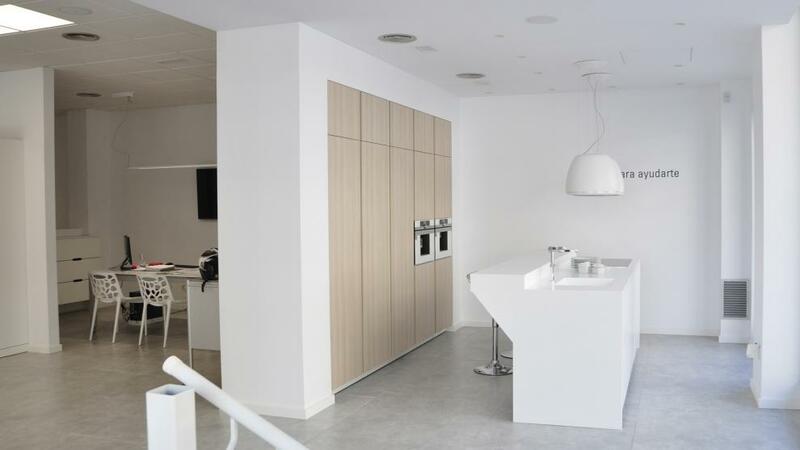 With this new and ambitious project, the owners offer the city of Vigo an establishment that can be considered as a point of reference in the kitchen furniture sector. 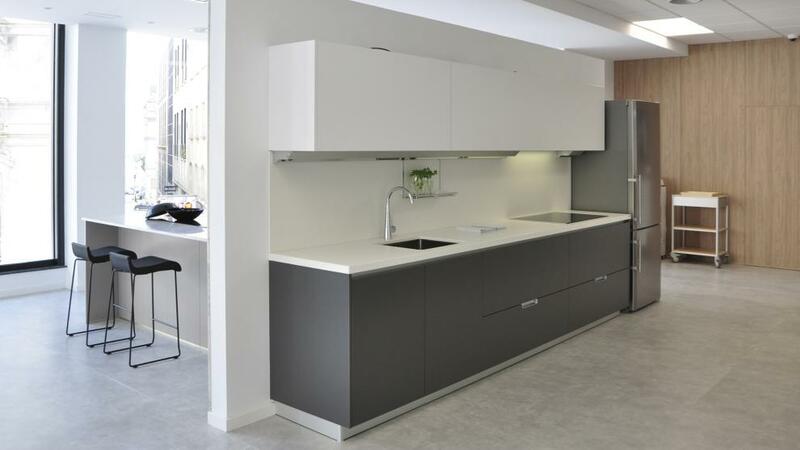 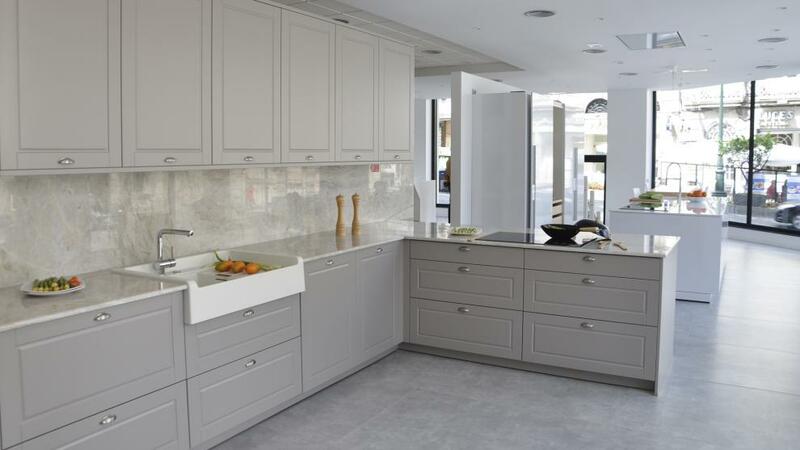 The showroom has a display featuring five kitchens designs from Santos: LINE-E, INTRA-L, KARMEL, ÉPOCA, MINOS LINE-E, SEDA and MINOS-E, the last of which is used in a laundry display.